Dependable Personnel is your complete office support service designed to address the various needs of the Tucson professional office community. We are committed to offering you quality service because we know how important your tasks and responsibilities are. We are dedicated to saving you time, money and resources. 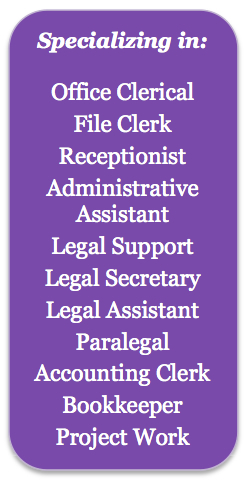 We have the superior personnel you are looking for.